The Primos Scarface deer decoy comes with a whole lot of improvements in some of the trouble areas. And one of them is the moveable head and tail that swivel to the wind back and forth to make it more realistic. The body of this whitetail deer decoy is a little softer, which makes it less susceptible to breaking. This soft body part makes it quieter to ﻿﻿transpor﻿﻿t﻿﻿ and easy to set up without making much noise--thanks to its rubber coating design. 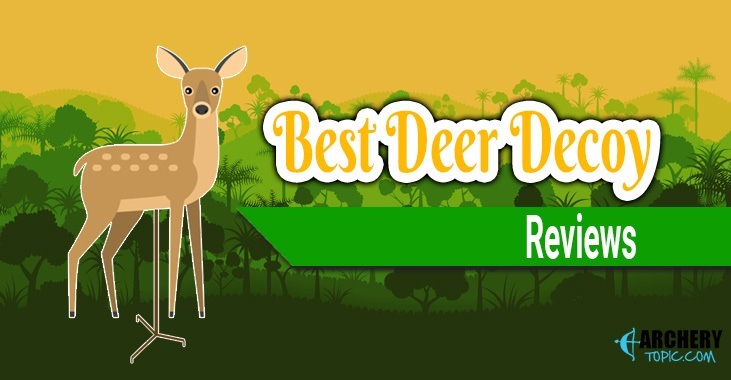 Another nice feature is that it offers a removable antler, which makes you quickly switch it from a buck to a doe. You can even decide to use one antler on it to attract a real deer who would want to attack your decoy due to the single antler it has. It also sports a dovetail leg system, which attaches in so quickly without falling off. The ears of the decoy are also moveable, and the head comes off very easily. It features some material that you can pack into the deer when the head is removed. The dovetail system hook is a breeze to snap on without falling off. The whole of the decoy weighs 13.5 lbs and offers a stand that holds the decoy right to the ground. Also, it features a single rod that you can attach the decoy to position it precisely to where you want. The little drawback of this brand is that it can’t withstand harsh weather element when placed outside for a few years. That said, we also observe that the bottom of the stand where the pole attaches to the base is not securely welded, which might rip off if not handled with great care. One of the problems with most decoys is that they are big and bulky to pack. But the Rinehart seems to be a little bit different because it’s light and easy to pack—thanks to the included carrying bag with a shoulder strap to pack it up. In fact, this is best doe decoy in my list. Since it is pivoted on the ground stake, a ﻿little bit of wind gives it some lifelike movement to get the attention of bulks from a distance. The Rinehart foam makes the ears of decoy to be pinned back aggressively. One of major disadvantages of this 2d deer decoy is that you have to take extra care when attaching the legs to the body. As any wrong handling of the foam can crack if you decide to force it in. The Dream Team is one of the lightest decoys around with less than 4lbs. 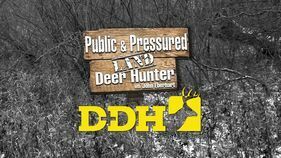 It comes with the combination of buck and doe features to provide hunters with the kits to use during the entire season. It is foldable, and packing it and setting it up takes only a few seconds. My gripe with the Team Buck is that it is flimsy and looks less realistic. So most times deer tend to be nervous when they figure out the decoy when walking to check from the rear or front. You’d better check the putting angle. Besides that, it can’t withstand big winds. The Flambeau Deer Decoy offers one of the most lifelike looking 3d deer decoys on the market. It provides a sturdy and hard plastic design that doesn’t crack up easily and can withstand harsh elements when placed outside for years. I usually take it to my desired spot in rut time, and most times leave it there and take it down when I'm not hunting. In my opinion, this is my best buck decoy. The problem with the Flambeau is that it is pretty big, which makes it hard to transport. Unlike other decoys on this list, the movement of the head, tail, and neck to the wind are less realistic compared to what we have seen from other decoys. Also, setting this thing up is not as simple as we wished for. You will have to deal with loud noise and a whole lot of weight when doing this. It’s surprising that many hunters are not into the use of decoy in bowhunting, especially in the rut. The reason for this is that most of these decoys tend to be bulky and pose as an extra work hauling them to the exact hunting location. But, what if I tell you that there are a lot of fantastic decoys, which offer a lightweight design and can easily give you the best hunting experience? Here are a few benefits you will get if you decide to use a deer decoy in the right places and at the right time. Whitetail decoys have been a real part of the equation for attracting dee﻿r, especially during bow season. Decoys give that confirmation that what the deer are hearing is real when it sees the decoy. It provides that visual element that the call they heard is real. The best part is that you can use a decoy all season long to bring deer that are hanging out on the other side of the food plot into the bow range. Decoys will help you bring in a lot of deer by acting as a visual magnet to drag the deer in. Decoys can even get the deer even to fight and to figure out if the doe is in estrus to breed her. Another good thing about using decoy is that it helps to focus the attention of the deer away from the hunter. This can also be an excellent tool to position a deer for an accurate shot. Here are a few things to keep in mind when choosing any deer decoy. 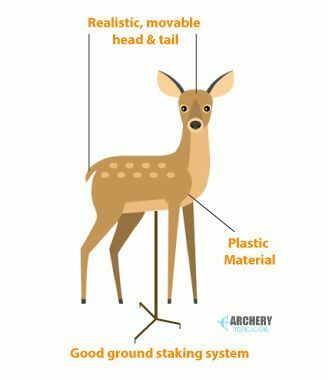 Before picking a deer decoy, you want to go for the ones that feature a more realistic look as this has been proven to work better and to attract deer to your exact location where the decoy is positioned. The deer should have a lifelike head and tail that move in the wind to look more real to the deer. You also want to go for a bigger decoy as they tend to give deer a better view of their location. We recommend you go for a decoy that is sturdy and stable after setup. You don’t want to pass through the hassle of always setting up your decoy, as this in itself can scare away deer in the process. So, it will be a great idea to keep an eye out for a decoy that offers a good ground staking system or an excellent strap system to secure the decoy firmly to the ground or on bushes or trees. When choosing a deer decoy to ensure you go for the one that is scent free. While some deer decoy offers plastic materials that are loud, they are usually scent free and do not absorb scents easily. Unlike those that come with a plastic design, decoys with foam designs (similar to 3D targets) aren’t sent free. So plastic is our recommended material. Another tip to consider when choosing a deer decoy is to pick the ones that have a compact size and can be stored in your ﻿﻿﻿backpack conveniently for comfortable carry. Since you're going to be moving from one location to another, it will make more sense to have one that is very easy to move around. Ensure the decoy is easy to haul in and out, as well as simple to set up. Aside from this, ensure that the decoy you're going for is a lot quieter when setting it up, especially when attaching the head and other crucial parts. There are specific steps you want to take to use your decoy to get the best experience effectively. Step 3: Eliminate all scent from your decoy before you ever take them to the field. You can have it a car wash many times. Step 4: The next step is to wrap up the decoy in a smell proof bag and then take it to your desired location. 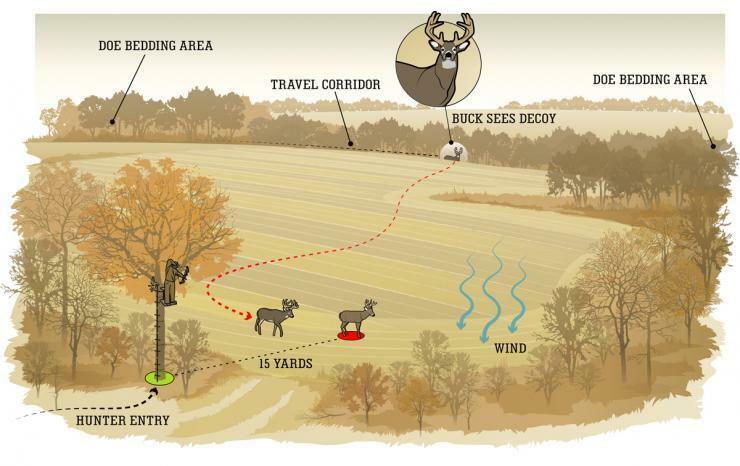 Step 5: Use the decoy in an open area so it can attract deer from a distant area. Ensure this open area has less Doe sightings as our main aim is to attract bucks who are in search of a hot doe. Between two doe bedding areas will be a good spot to position your decoy. Step 6: Remember to put on gloves when setting up your decoy. You don’t want to leave any scent on it. Make sure you spray the decoy from head to tail with a scent eliminating spray to remove the scent. Step 7: Make sure you position the decoy 20 to 25 yard far away from you in a precise distance. This will allow the deer to see the decoy without noticing your presence. Step 8: After that, ensure you Quarter the decoy slightly away to give you an excellent shot opportunity of an approaching deer, whether it comes from the head or tail. Step 9: Make the scenario look as real as possible. You can make this more realistic by using calls to get the deer’s attention. Step 10: Be patient. If all the above are properly implemented, you decoy is going to work like magic and bring you more game. So, these are best deer hunting decoy every hunter should go for during the rut. As stated above, these decoys offer some of the most realistic features to attract deer and help you take in more deer back home. Did I miss any best deer decoy you think is essential too? I would appreciate if you suggest me any. And also share this article with those that may find it useful.